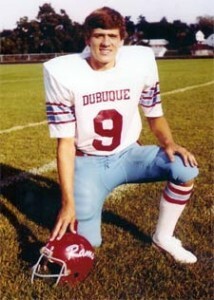 Jeffrey Scott Brauer graduated from Dubuque Senior High School in 1979. During his athletic career at DSHS, he won 7 major letters in three different sports. Track showcased his versatility where he qualified for the Drake Relays three years in four different events. At one time he held 5 school records and still holds the school record for the long jump. He was co-captain of the football team earning All Conference and State Honorable Mention. He also captained both baseball and track teams. Bernie Ferry coached various sports at DSHS from 1969 through 1989. His influence was especially pronounced on the men’s track program for which he was head coach from 1974 through 1982. During that period DSHS’s track program became acclaimed for its consistent success. His track teams were Mississippi Valley Champions in 1981 and runners-up in 1982. He coached football at all levels and coached sophomore basketball. 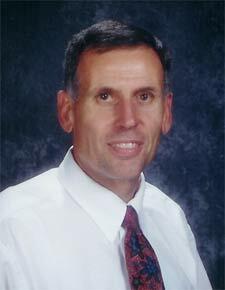 After leading DSHS’s physical education and health departments from 1972-1982, Mr. 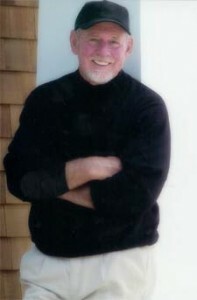 Ferry served as Activity Director from 1982-1988 and then as Associate Principal for eight years. He is presently the principal at Holmen High School in Wisconsin. Karl Kenline , before graduating from DSHS in 1929, lettered in football, basketball, track, and tennis. He held the school’s shot put record for many years. Karl lettered in the same sports at Loras College. After graduating from law school at the University of Iowa, her served in the Army during W.W.II as an intelligence officer in Australia. 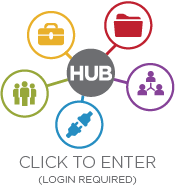 He returned to Dubuque to become senior partner at the law firm of Kenline, Hoffman, Rosedell and Tierney. 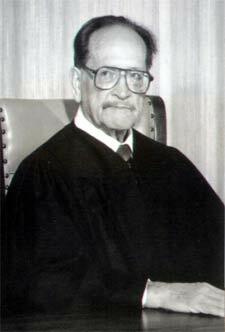 He later served with distinction as State Circuit Judge for many years. Before he passed away, he was a catalyst in the community’s tennis programs. Jack Nora reaped honors in three sports before graduation from DSHS in 1954. He was 1st Team All State in baseball as a pitcher the year the Rams were Mississippi Valley Co-Champions. Pitching a no hitter in the state tournament, her led the Rams to the state baseball championship in 1954. He earned All City honors in basketball and was 2nd Team All Mississippi Valley Conference in football as quarterback. Pitching a no hitter in the state tournament, he let the Ram’s to the state championship in 1954. He went on to the University of Iowa and pitched for four years. He is presently practicing dentistry in San Jose, California. Stanley Orr managed to win major “D” ‘s in football, basketball and track and played in the band and orchestra for DSHS before graduating in 1953. He totaled 8 major “D” ‘s – 3 in football, 3 in track and 2 in baseball. He was co-captain for the football team in 1952. He went on to attend Cornell College playing varsity football and was selected AFROTC Wing Commander. He went on to serve as general manager of the Firestone Country Club in Akron, Ohio. He also worked as General Chairman of the PGA Senior Tour. He resides in Jeffersonton, Virginia, with his wife, Carol Lee. 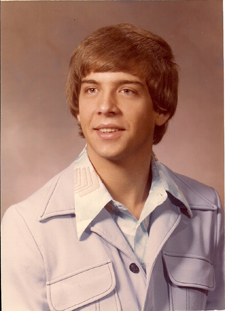 Mike Meyer Before graduating in 1973, Mike Meyer established himself as one of DSHS’s outstanding two-sport stars. Winning honors and acclaim in basketball and baseball, Mike accumulated 5 major “D” ‘s for the Rams. As a three year starter at shortstop, Mike earned All City and All Mississippi Valley Conference honors. He was Honorable Mention All State his senior year. Basketball was Mike’s other love. He led his team in scoring and assists his senior year. He was All City and All Misisippi Valley Conference for two years, as well as All State Honorable Mention. As a result of his unparalleled success in both sports, Mike was selected as a Mocco Mercer Candidate as one of the best high school athletes his senior year. He currenlty lives in West Des Moines, Iowa with his wife, Tammy, and four children.